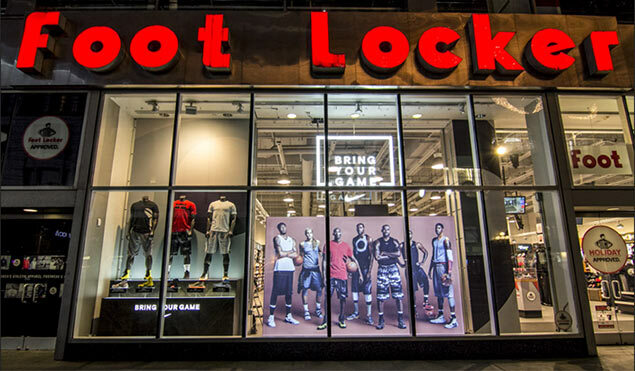 *Foot Locker also has a new onsite coupon page with code details and exclusions here! FOOT LOCKER: online only. Extra discount on sale items. Check the calendar for new shoe releases every day! Huge selection of men’s and women’s running shoes on sale today! 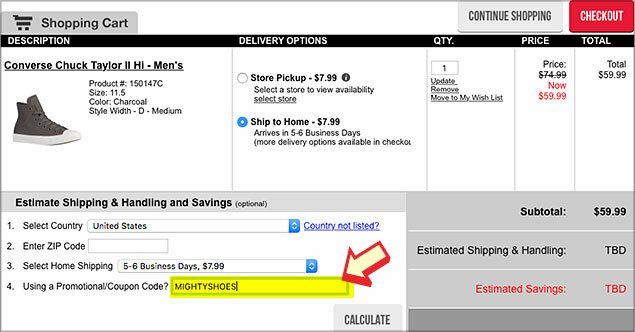 Just enter your code in the field that says, “using a promotional / coupon code”, and click “calculate.” If your code is valid, you’ll see your discount(s) itemized in the “estimated savings” area above your order total. This is also where you’ll see if you qualify for free shipping. All Finish Line Coupons have exclusions – New shoe releases and top brands like Jordans are usually excluded from codes of all kinds in every online shoe store. The best you can hope for with some brands is free delivery! There are usually about 4 codes available at any one time for finishline.com, so try having a backup. Not only might your first option not work, but you might be surprised that you get a better discount with their “$20 off” code than their “10% off + free shipping” code. We highlight the most popular code or two every week, so using the wisdom of the masses, those are usually the best deals!